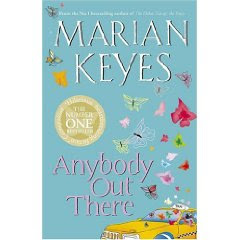 anybody out there. | escaped. I am currently listening to Linkin Park's Hybrid Theory and Meteora. Boy, it's been such a long time. And this is after hours of Lenka. I can move on from one thing to an entirely different thing pretty easily, you know. It's almost like a specialty. OK, so. 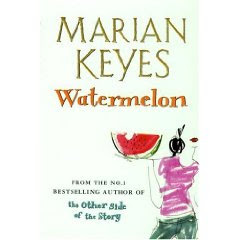 I've been spending my time today in bed reading a Marian Keyes book - Watermelon that I bought, like, a month ago at Queensbay Mall. 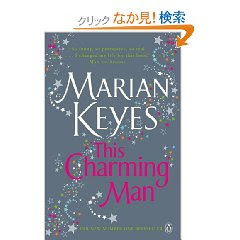 I was so excited seeing her books lined up so perfectly at the Borders so I went and bought 3 of her books - Watermelon, Anybody Out There and This Charming Man. The last one was recommended by friends, saying how great the book was, bla bla...turned out I didn't like it as much as I like the other two. But, personally, I think Anybody Out There is the best. I think maybe because I can relate everything about it - the girl, the relationship, the feeling of missing a man. I was actually crying at almost every chapter, I kid you not. It was so touching. This Charming Man, on the other hand, to me is way too serious and dramatic for me. I couldn't relate much to the characters especially Grace I don't know why. And I think the way the book was divided into parts - and different fonts, too - is why I kept on turning page after page without really wanting to know what happen. So I didn't finish it. Hehe. But trust me, go read Anybody Out There. The best ever. I'm on my way with Watermelon, but so far I can tell I'm loving it. This week is the first week of school, I know I shouldn't spend my time reading novels. Oh well. I can start studying tomorrow. We'll see.